Attorney Bio | The Law Office of Christopher M. Reecht, P.A. Christopher M. Reecht was born in Columbia, Missouri. His family moved to the Kansas City Metropolitan Area before he began school. He grew up in Leawood, Kansas where he graduated from Blue Valley High School. After graduation, Chris went to Ft. Worth, where he attended Texas Christian University. He graduated in 1994 with a major in Criminal Justice and minor in Political Science. During college, Chris was a member of Lambda Chi Alpha Fraternity and the men’s golf team. While attending classes, he worked for The Law Offices of Tom Hall. Upon graduation from college Chris came back to Kansas and attended Washburn School of Law in Topeka as a Presidential Scholar. During law school, Chris interned for a small law firm in Kansas City, Missouri and the Johnson County District Attorney’s Office. He was a member of the Phi Alpha Delta Legal Fraternity and included in the Who’s Who of law school students. Chris graduated from Washburn in 1998 and was sworn into the practice of law in Kansas in 1998 and Missouri in 1999. Since graduation, Chris has practiced in the areas of personal injury, business litigation, criminal defense and prosecution, family law, divorce law, Child In Need of Care, and juvenile law. Chris is also certified as a Guardian Ad Litem to advocate and represent the best interests of children involved in the Court system. He is currently licensed in both Missouri and Kansas but focuses his practice primarily in the District and Municipal Courts of Kansas in the areas of family law, divorce, CINC and Guardian ad Litem appointments by the Court. Chris was also the Municipal Prosecutor for the City of Gardner, Kansas for over 10 years. 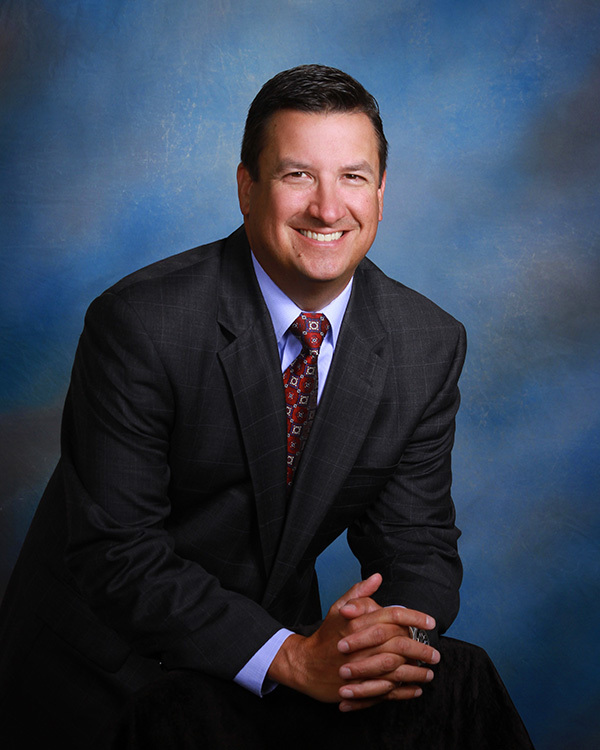 Chris has served in the leadership of the Johnson County, Kansas Bar Association including the roles of Past President (2009), President (2008), President Elect (2007), Vice President (2006) and President of the Young Lawyers Section (2004 and 2005). He is currently a member of the Family Law Section Committee, Johnson County Family Law Inns of Court and the Juvenile Bench Bar Committee. Chris is currently a member of the Kansas and Missouri Bar Associations. Chris has also had the opportunity to be a presenter at several seminars and CLEs throughout the Kansas City Metropolitan Area including being the keynote speaker for the Naturalization Ceremony in Kansas City, Kansas for individuals becoming United States citizens. He regularly volunteers his services to the Divorce Recovery Group through the Church of the Resurrection’s Care Ministry. Chris makes his home in Johnson County, Kansas where he is married with two girls. In his free time he loves to play golf, attend concerts and sporting events and barbeque with friends.